Foxygen - "How Can You Really" from the forthcoming album "...And Star Power" out October 14, 2014 on CD/LP/Digital on Jagjaguwar. 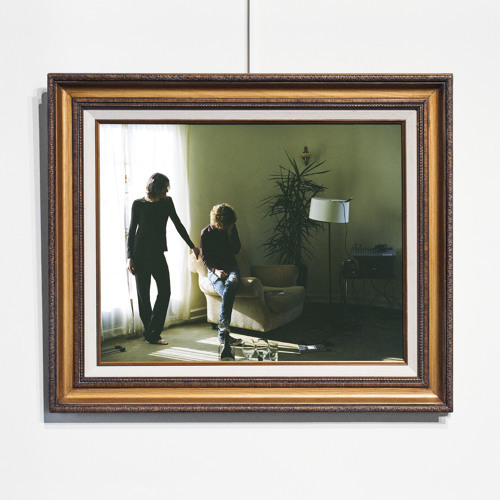 SC Distribution: http://smarturl.it/foxygen?iQid=how.scloud iTunes: http://smarturl.it/foxygen_itunes?iQid=how.scloud Amazon: http://smarturl.it/foxygen_amazon?iQid=how.scloud Your local record store: http://smarturl.it/foxygen_indies?iQid=how.scloud FOXYGEN TOUR DATES: [tickets: http://bit.ly/foxygen_tour] Sat. Sep. 27 – Dallas, TX @ INDEX Festival Sun. Sep. 28 – Houston, TX @ Fitzgerald’s Upstairs w/ Dub Thompson Mon. Sep. 29 – New Orleans, LA @ One Eyed Jacks w/ Dub Thompson Wed. Oct. 1 – Atlanta, GA @ The Loft w/ Dub Thompson Thu. Oct. 2 – Nashville, TN @ Exit/IN w/ Dub Thompson Fri. Oct. 3 – Asheville, NC @ The Orange Peel w/ Dub Thompson Sat. Oct. 4 – Charlottesville, VA @ Jefferson Theater w/ Dub Thompson Sun. Oct. 5 – Washington, DC @ 9:30 Club w/ Dub Thompson Wed. Oct. 8 – Brooklyn, NY @ Music Hall of Williamsburg w/ Dub Thompson Thu. Oct. 9 – New York, NY @ Webster Hall Fri. Oct. 10 – Philadelphia, PA @ Union Transfer w/ Dub Thompson Sat. Oct. 11 – Boston, MA @ Paradise Rock Club w/ Dub Thompson Sun. Oct. 12 – Montreal, QC @ Le National w/ Dub Thompson, Heat Tue. Oct. 14 – Toronto, ON @ The Mod Club w/ Dub Thompson Wed. Oct. 15 – Pontiac, MI @ Crofoot Ballroom w/ Dub Thompson Thu. Oct. 16 – Chicago, IL @ Lincoln Hall w/ Dub Thompson Fri. Oct. 17 – Chicago, IL @ Lincoln Hall w/ Dub Thompson Sat. Oct. 18 – Minneapolis, MN @ Fine Line Music Café w/ Dub Thompson Mon. Oct. 20 – Denver, CO @ Bluebird Theater w/ Dub Thompson Tue. Oct. 21 – Salt Lake City, UT @ Urban Lounge w/ Dub Thompson Thu. Oct. 23 – Santa Cruz, CA @ Rio Theatre w/ Dub Thompson Fri. Oct. 24 – San Francisco, CA @ The Fillmore w/ Dub Thompson Sat. Oct. 25 – Orange County, CA @ Beach Goth Festival at The Observatory Wed. Oct. 29 – Brighton, UK @ Komedia Thu. Oct. 30 – Manchester, UK @ Ruby Lounge Fri. Oct. 31 – London, UK @ Village Underground Sat. Nov. 1 – Paris, FR @ Pitchfork Music Festival Paris Mon. Nov. 3 – Brussels, BE @ Botanique Tue. Nov. 4 – Amsterdam, NE @ Tolhuistuin Wed. Nov. 5 – Berlin, DE @ Frannz Thu. Nov. 6 – Copenhagen, DK @ Pumpehuset Sun. Nov. 9 – Austin, TX @ Fun Fun Fun Fest Foxygen - "How Can You Really" from the forthcoming album "...And Star Power" out October 14, 2014 on CD/LP/Digital on Jagjaguwar. Just heard this song in a Cotton On store, that was really surprising for me. Todd Rundgren...I saw the light?? Been listening to this song non stop. Foxygen is killer, Sam France has such great vocal lines. Buy Foxygen - "How Can You Really"
Users who like Foxygen - "How Can You Really"
Users who reposted Foxygen - "How Can You Really"
Playlists containing Foxygen - "How Can You Really"
More tracks like Foxygen - "How Can You Really"